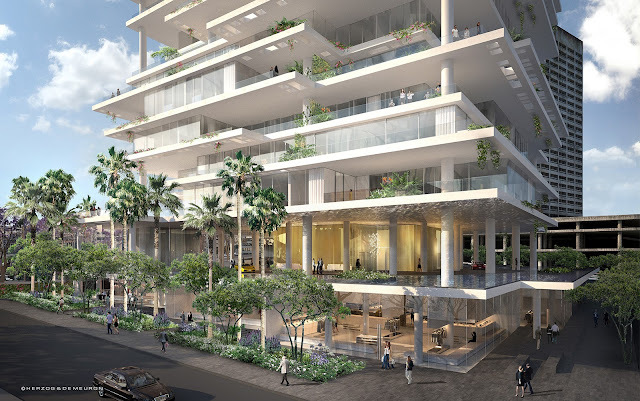 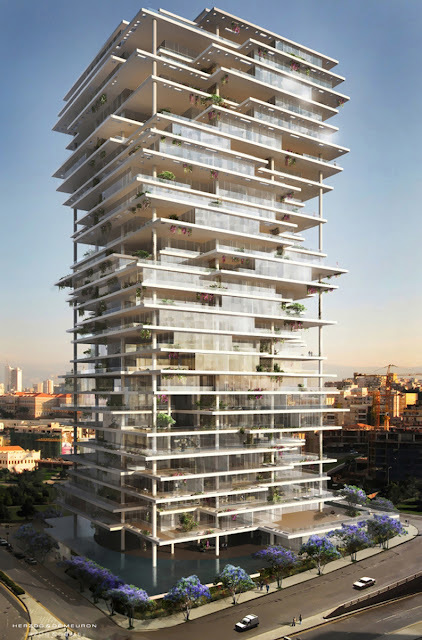 Beirut Terraces is one of architects Herzog & de Meuron’s most exciting latest projects, a vertical village composed of thin platforms layered in an irregular formation that rethinks the concept of the skyscraper. 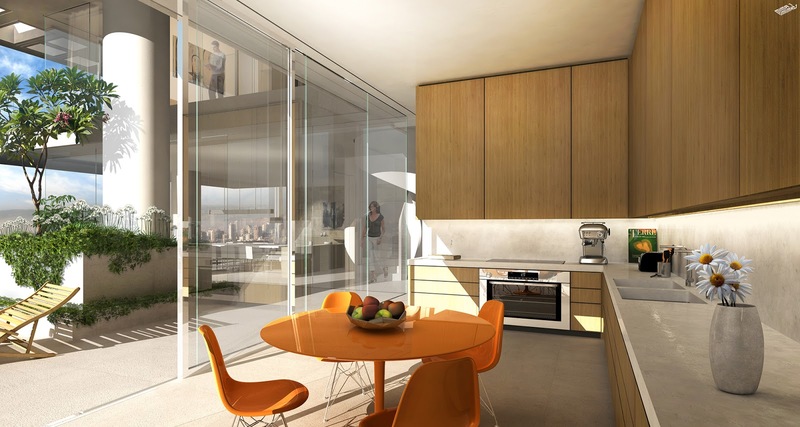 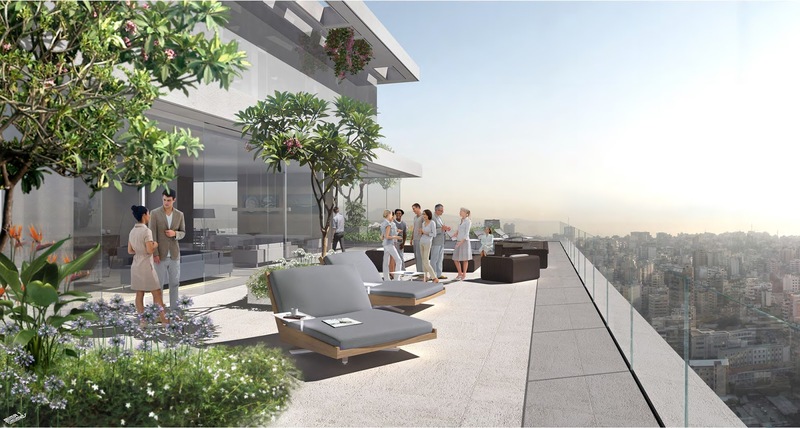 The residential tower offers 132 living units that range from 250 to 1050 square metres in the form of simplexes, duplexes, and townhouse with spacious terraces ranging from 28 to 400 square metres. 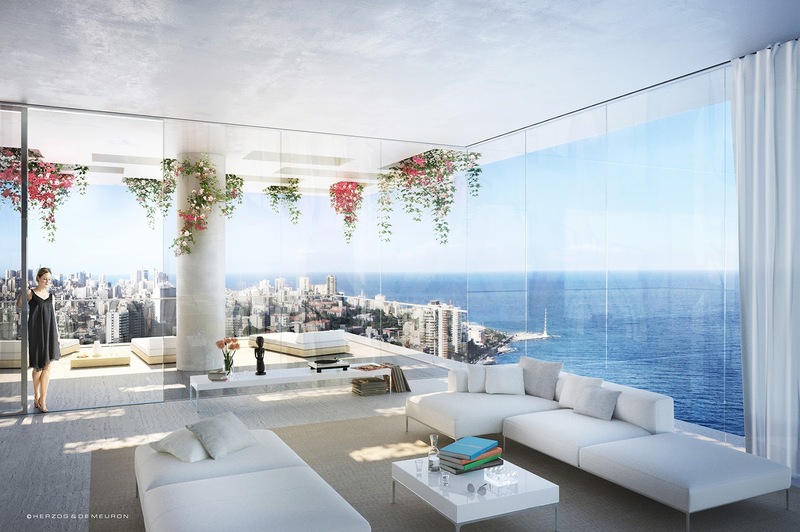 Each apartment was conceived as one large surface with glass separating interior from exterior and plants separating a bedroom terrace from a living space’s (usually) larger terrace. 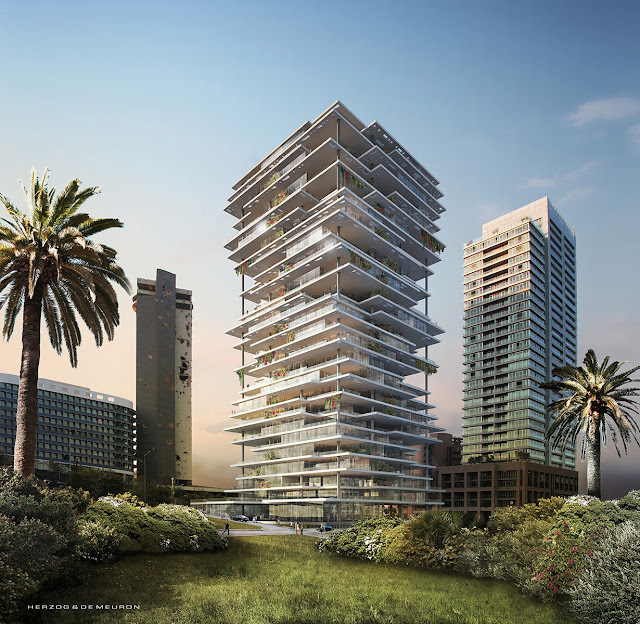 The project, which has been praised for bringing a new typology to Beirut’s waterfront, came in third place for Best Futura Project at the 2013 MIPIM awards and is scheduled for completion in 2015.